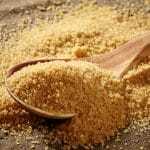 Coconut sugar is not new but it has recently become popular as an alternative sweetener. It has a reputation for being somewhat healthier than brown sugar. While coconut sugar is an effective sweetener, it does not function exactly like cane sugar. You will get the best results from it by paying attention to the following dos and don’ts of coconut sugar. Do grind your coconut sugar if you are baking with it. Coconut sugar crystals are typically coarse. The texture is one of the key differences between coconut sugar and refined white sugar or regular brown sugar. 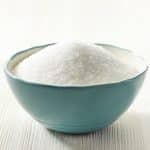 If you are using coconut sugar in a recipe formulated for brown sugar or refined white sugar, grind it for a few seconds in a blender first to make the grains finer. Grain-size can affect the texture of recipes where butter and sugar must be creamed. Grains that are too large can make the item overly porous. Do use coconut sugar as a 1:1 substitute for white or brown sugar. This works perfectly if you are using coconut sugar as a table sweetener such as for oatmeal or a beverage. If you are baking with coconut sugar, it is still perfectly interchangeable with white or brown sugar in terms of sweetness; however, adjustments to baking time and ingredients may be necessary for some recipes. Do exercise extra care when using coconut sugar to make candies. 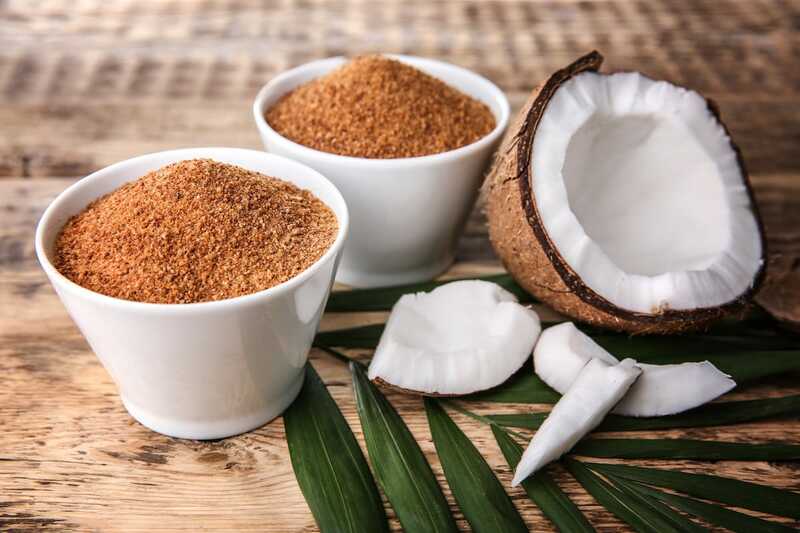 Coconut sugar burns at a lower temperature than white sugar, which means that you are restricted to using it in recipes that require you to bring the sugar to the soft ball stage but no further. It is worth noting that while no sugar smells good when it is burning, burnt coconut sugar is particularly acrid. Do adjust the liquids in your recipe if you are using coconut sugar as a brown sugar substitute. Failing to add extra moisture when replacing brown sugar with coconut sugar will result in dryer and denser baked goods. The reason is that there is molasses in brown sugar, which makes it wetter. Compensate for the absence of this moisture by adding extra liquid in the form of wet ingredients like yogurt or mashed banana. Do check the ingredients section on the label to ensure that you are getting coconut sugar. Coconut sugar and coconut palm sugar refer to the same thing. If the ingredients panel lists only palm sugar, then you are not getting coconut sugar. Palm sugar is another type of sugar entirely. Don’t use coconut sugar with the expectation of getting a coconut flavor from it. The part of the coconut used to make coconut sugar is the sap, not the meat of the coconut. The meat is where you get the traditional coconut flavor. The flavor of coconut sugar is simply a mild, simple caramel note. Don’t use coconut sugar with the expectation of major health benefits. Coconut sugar is still a sugar and you will get the same amount of carbohydrates and calories from it. It will still be metabolized into fat and consuming too much will have many of the same negative effects as any other type of sugar. Coconut sugar does contain inulin and so is not completely devoid of nutrition; however, the health benefits are still limited. Don’t use coconut sugar in recipes where a light color is essential. Coconut sugar is brown and will turn batters and doughs brown. 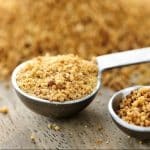 What's A Good Coconut Sugar Substitute?